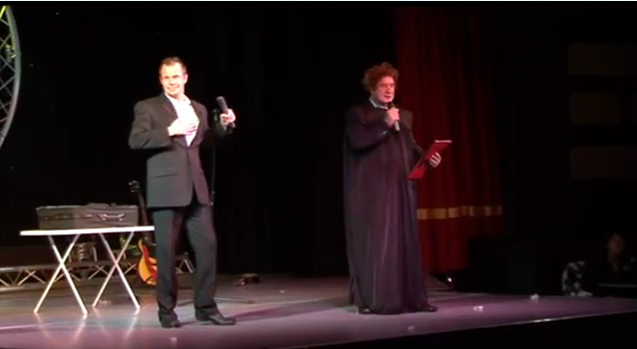 We’ve just finished editing 2 showreels for personality vocalist Gareth Lloyd, from provided footage. 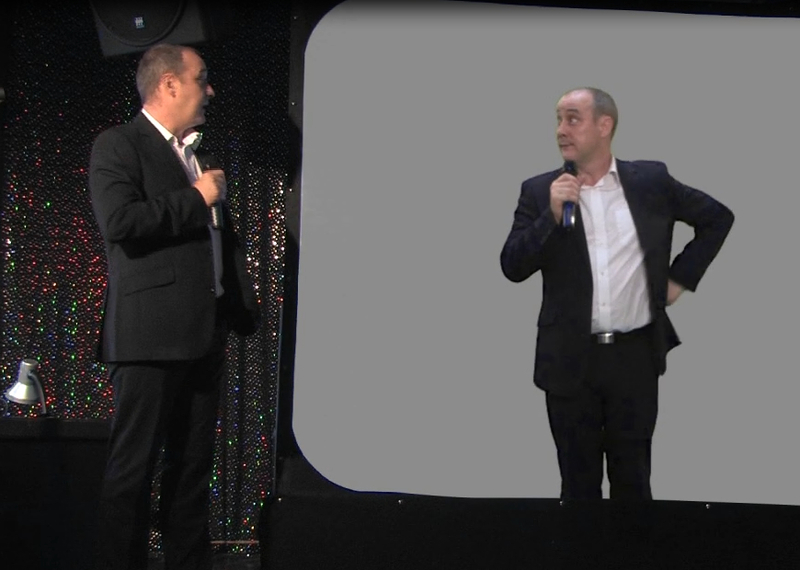 The first showreel is for Gareth’s Swing Show and we went for a black and white Vegas feel, focusing on the songs and stars of the swing era. The second showreel has a much more modern feel, with a large amount of motion graphic content as well as some “Mission Impossible” style elements. Gareth knew exactly what he was looking for and was great to work with – Go see his show if you get the chance, he also does an excellent Michael Buble tribute! 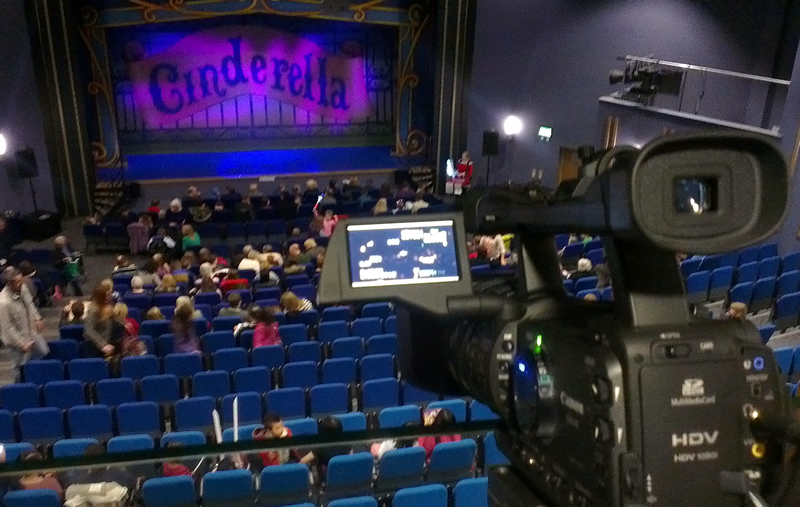 2 days ago we recorded this years panto, Cinderella, at the Whitley Bay Playhouse for Blue Genie Entertainment. We filmed with 3 HD cameras over 2 shows and recorded the ambient and desk audio, resulting in over 8 hours of rushes! These have now been edited, rendered and authored and are going out tomorrow on DVD and HD files – phew! 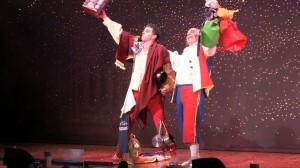 Thanks, Blue Genie, hopefully see you next year for Peter Pan! For over 14 months now we’ve been following the story of the restoration of the George Elmy lifeboat from Seaham. The George Elmy was involved in a disaster in 1962 where, after carrying out an heroic rescue, was overcome by a gigantic wave leading to the loss of all but one person on board. 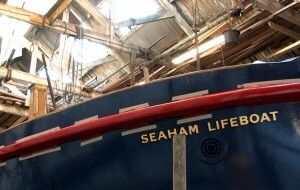 The boat then left the area and was eventually rediscovered in April 2009, converted into a fishing boat and laid up in Holyhead. The boat was bought by the East Durham Heritage Group and is currently being restored by master boat builder Fred Crowell of South Shields. We’ve been producing Fred’s vlog of the restoration and are producing a DVD early next year of the entire story which will be sold from the George Elmy’s new home on Seaham Harbour. 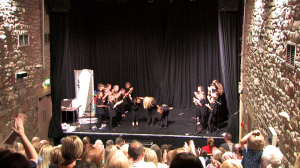 We recently filmed a performance of Charlie & The Chocolate Factory at the Arts Centre, Washington. 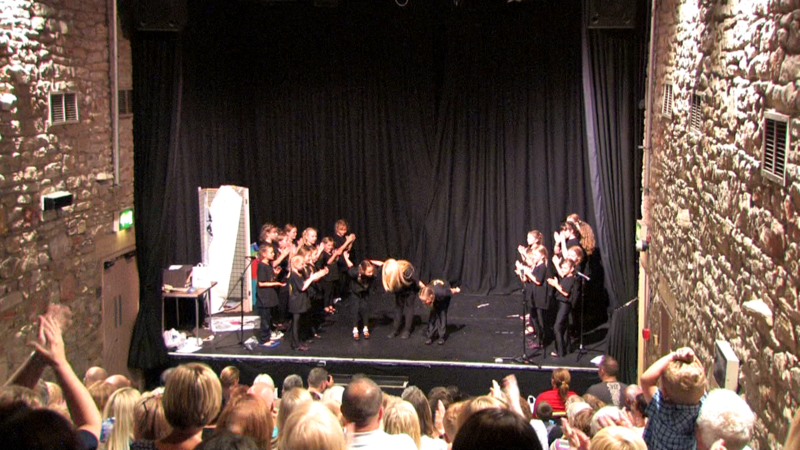 This was a summer school performance produced by Trish n Trina’s dance academy. We filmed it with one cameraman and two cameras, and then edited and authored to DVD. Sound was via the cameras’ onboard mics as well as a desk feed and a remote mic. The challenge of this shoot was to fit into the venue: Its a very narrow space with only one walkway (which was also being used as performance space) and it was sold out! We managed to fit into 2 theatre seats and I can only apologise to the members of the audience on folding chairs! TED UK, Europe’s leading live show provider, gave us a call and asked if we could turn 8 hours of footage into a 3 minute montage to show some highlights of their current overseas productions. We had an email from Nik Kempson-Hopkins, the UK sales manager for Meguiars, who wanted to produce a new guide to his company’s Velocity release system. 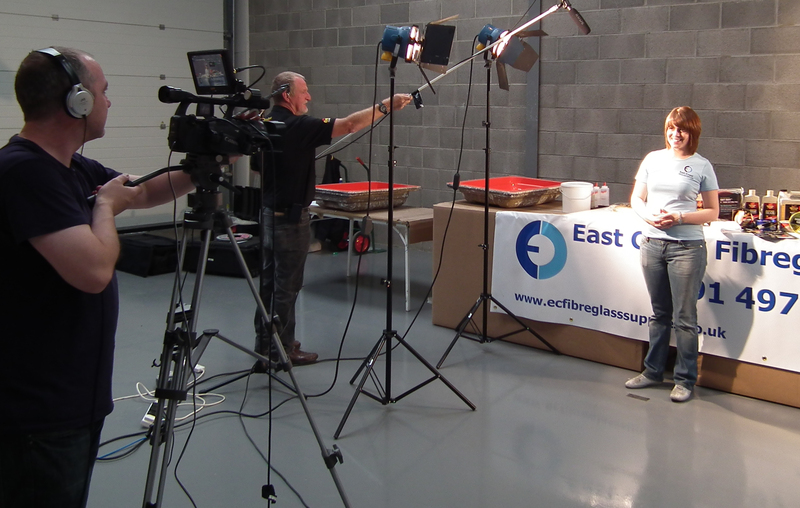 We were recommended to Nik by Gary at East Coast Fibreglass, who we worked with on a DVD production. The project began with script writing by Nik and Gary, with input from us and a lot of emails back and forth! We then began casting for a suitable presenter, and chose Joanna who we’d worked with before on some web videos. The shoot itself only took one day, and the edit was completed within a week, meaning the entire project from commission to delivery was completed in under a month. Nice! 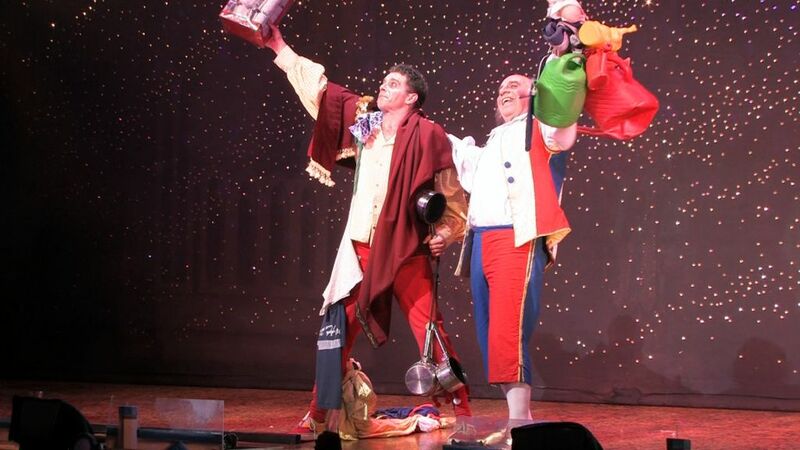 We recently filmed the 2011/12 production of Sleeping Beauty at the Theatre Royal Newcastle, starring Clive Webb and Danny Adams. We shot with two full HD cameras over two performances in one day and also recorded a separate audio feed from the house desk for both shows. This footage was all then edited into one ‘show’ and authored to DVD. We also spent a day with Clive and Danny to film ‘A Day in the life of a Panto Star’, a documentary=style piece for the web. 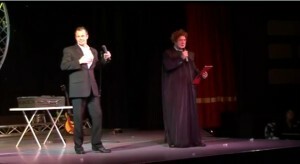 Cabaret performer Nick L’Mao had a great idea to produce a new show featuring a ‘live action’ version of himself as well as several pre-recorded versions. 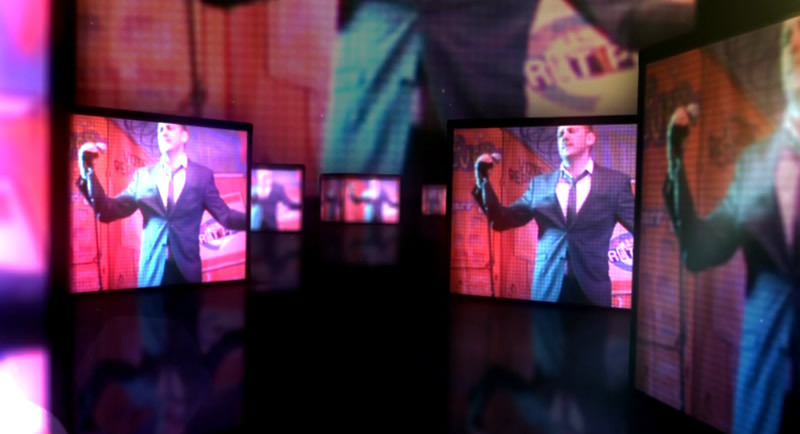 This seemed like a pretty straight-forward commission at first – We filmed several versions of Nick performing in front of a green screen and edited these together into the final version which he projects live and life-sized at his shows, and interacts with. The tricky part came when Nick told us he had an idea to pass actual physical objects between his real self and his video selves! Well, we did it and the final performance looks great – Go and see the show if you get the chance. We later produced a promotional showreel for Nick and we’re filming his entire show in Northumberland next September for a DVD. We were contacted in late 2009 by East Coast Fibreglass Ltd and Complete Kit Car magazine. 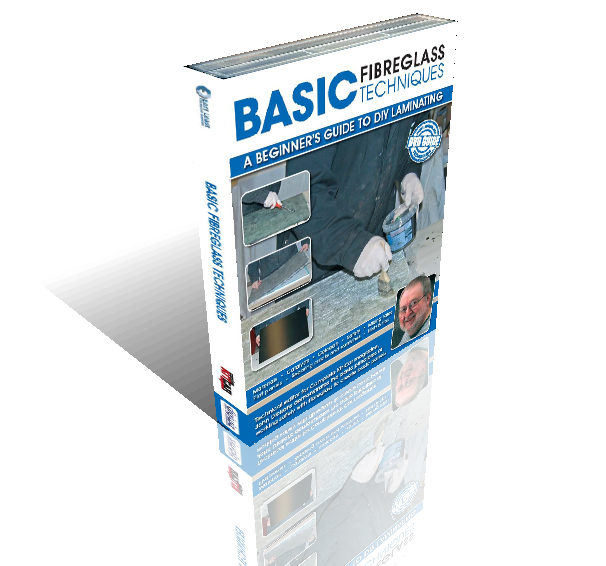 They’d spotted a gap in the market for an easily-understandable DVD introducing beginners to fibreglassing techniques. They already had a presenter in mind for the project, a former teacher and author on the subject, John Dickens. The script and shooting schedule were written by us in collaboration with John, East Coast Fibreglass and Complete Kit Car Magazine over the course of 3 pre-production meetings and lots of emails!The shoot itself took place over 3 days in early 2010 in situ at East Coast’s premises, which we’d converted into a ‘studio’ for the weekend. Digiwiz then took the project forwards, editing and authoring the finished DVD, and organising the initial replication run of 20,000 copies. As well as publishing a website for the finished product, which you can see here. We also arranged the publication, licensing and allocation of a unique barcode identity, enabling the DVD to be sold on Amazon, and indeed anywhere. ‘Basic Fibreglass Techniques – How to Fibreglass’ was released in July 2010. Unusually for a project of this scale, we agreed to be paid partly from sales of the DVD, meaning that the client paid a minimal fee up front. In 2009 we produced a live DVD for comedy double act Goodie and Nick. We were supplied with tapes from a 4 camera shoot which we edited and authored to DVD, also designing the disc and packaging. We subsequently designed some big-screen backdrop animations for the duo.